A low-walled patio, which may have once graced the gardens of a wealthy nobleman's estate. 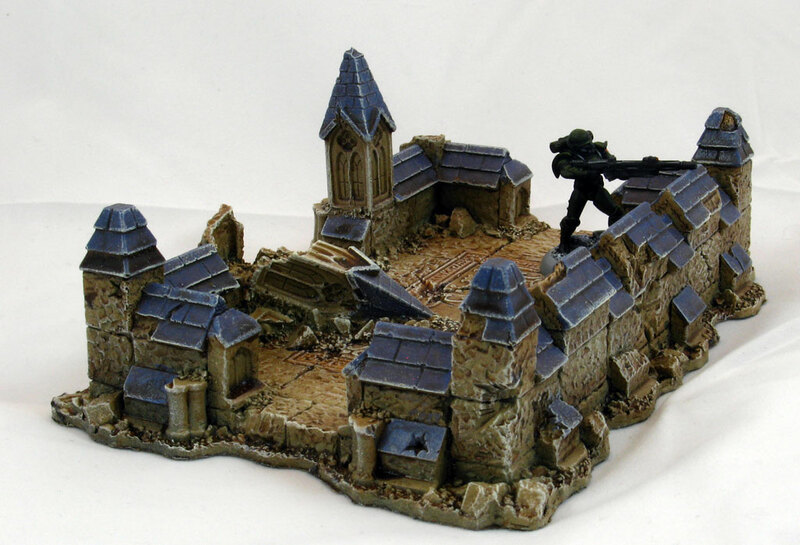 The centuries have not been kind to it's once-elegant lines, but the solid stone structure still provides excellent cover for a small squad under fire. The style of the Terrace matches perfectly with our Conseptum Walls to provide visual continuity throughout your city... or tabletop! 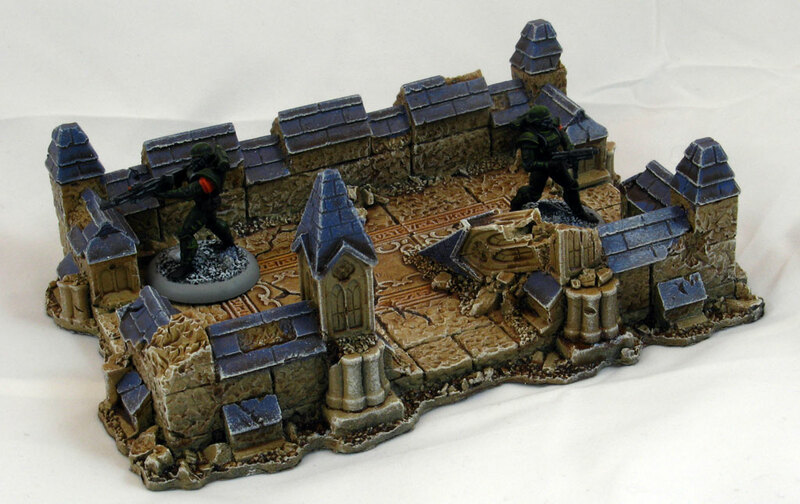 The Terrace measures approximately 5" x 7"
Like all our terrain, the Terrace is produced in a virtually indestructible rubber, and is available painted to a good tabletop quality in Aged Brownstone (shown), or Grimdark Gray. 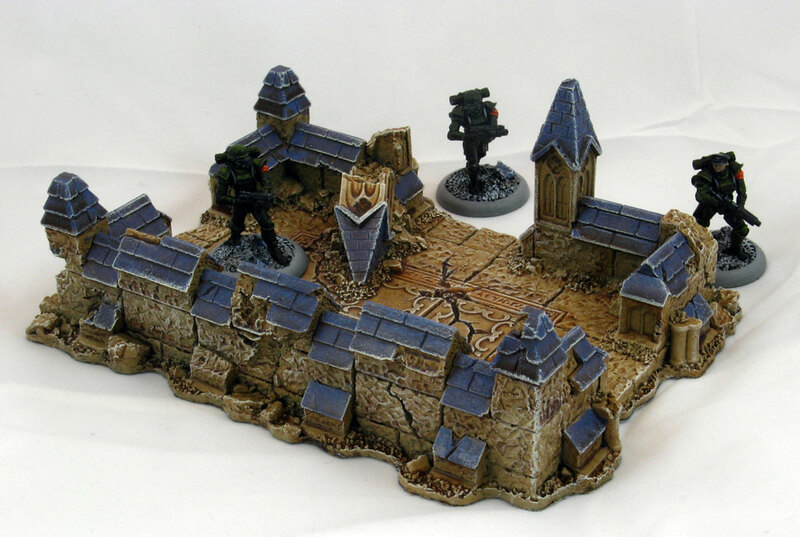 · Miniatures © DreamForge Games, are used by permission for scale purposes only, and are not included with the terrain set. 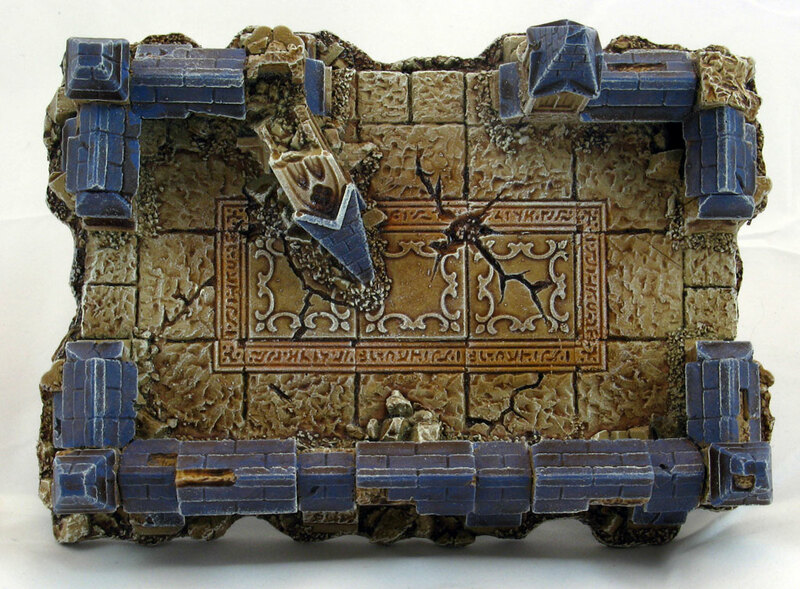 · Miniatures painted by Jonathan Bursch. 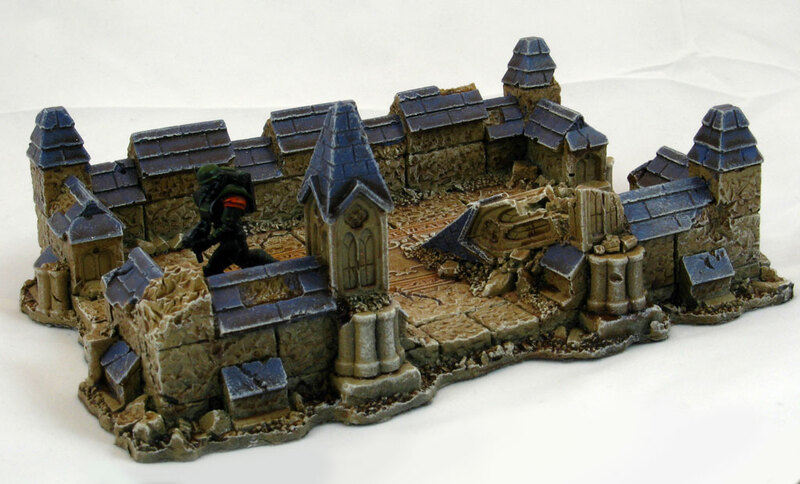 · This set includes components produced under license from Hirst Arts.